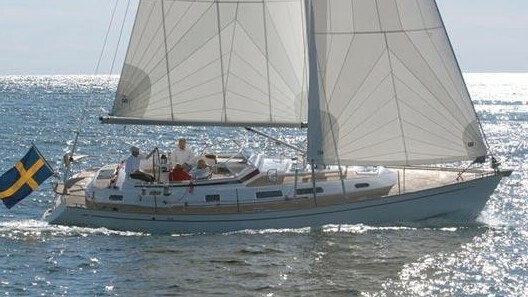 Located in Fajardo, Puerto Rico, this Island Packet 380 Cutter is ready to fulfill your Caribbean dreams. 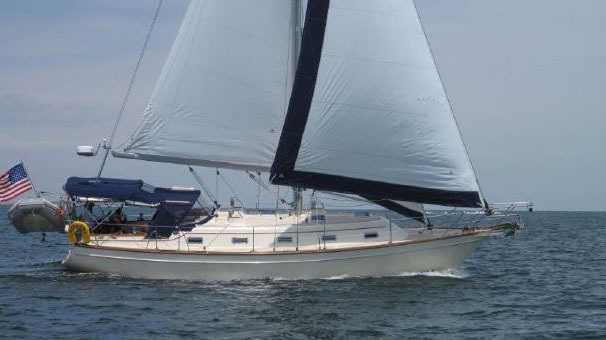 The owner's just sailed her from Fajardo to Culebra, Jost Van Dyke, Tortola to St. John. A full-keeled, blue-water cruiser she sails like a dream! All sails are in excellent condition and have sail bags. Equipped w/ 3 solar panels and wind power. Water maker. 110 watts. Furuno radar/plotter w/ 36 mile range. 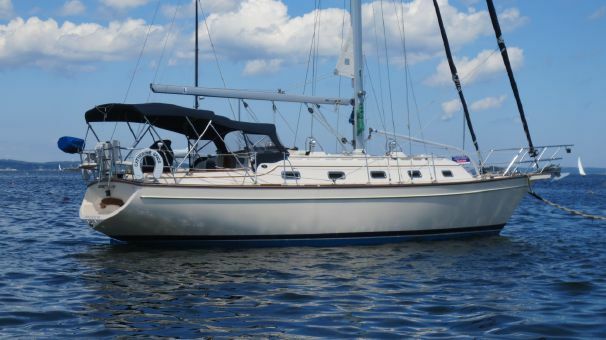 fiberglass hull, motor in excellent condition and well maintained. 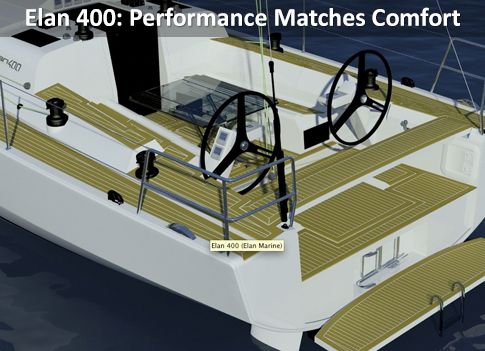 Exterior color is off-white with green trim, white sails and teak trim. Exterior trim newly sanded and varnished. Cutter rigged, aft cockpit with wraparound seating. amidship salon, forward and aft staterooms, 2 heads with stall shower and hanging lockers. Navigation area, companionway work area, teak bulkheads and cabinets. Teak & holly flooring, convertible dinette with settee both sides. Fully equipped galley, under aft cockpit engine space. Aluminum mast with tracked vertical roller for main sail. 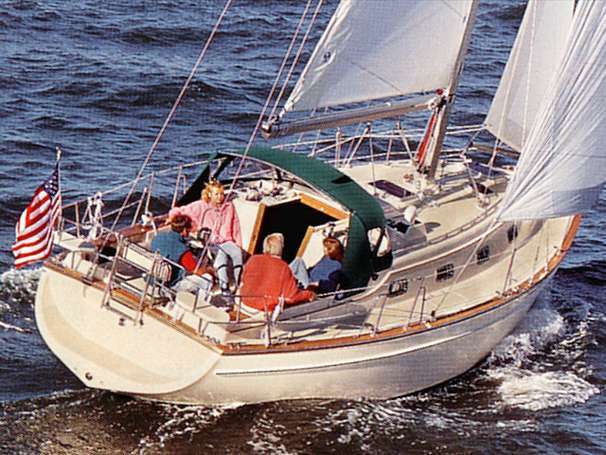 Sobstad Dacron sails on furler. 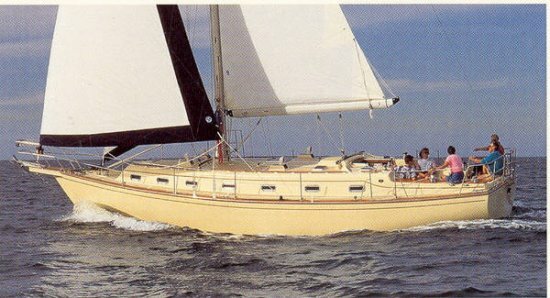 110% Genoa, 1 EA staysail - all with storm reefing. Tri-color spinnaker w/ chute. Custom bimini and dodger top done in green sunbrella w/ stainless steel frame, Full enclosure around cockpit, full enclosure screens, all in excellent condition. Comes with a 2010 AB inflatable dinghy w/ a Yamaha engine. Don't let someone else make your dream come true! Call or email now!